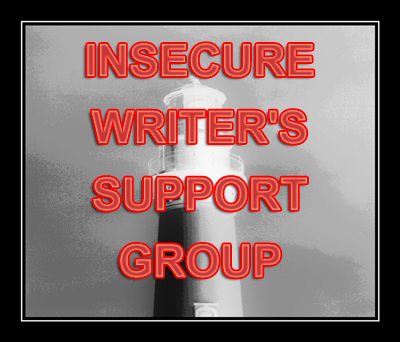 For this month’s Insecure Writer Support Group post – the brainchild of Alex J. Cavanaugh – I reached back into my own blogging roots and pulled out my very first post. I stumbled across it while doing some much-needed digital house cleaning, and after reading it I immediately decided to use it for the next IWSG post. You’ll soon see why. I hope you get something out of it. Three days a week I visit our local Health Club, doing my best to stave off old age and atone for eating habits filled with goodies banned from my diet, but consumed anyway. Yesterday was a day like most others, a vigorous workout followed by a cool down period circling around the walking track which is on the second floor overlooking a basketball court. As I made my way around the oval, lost in my thoughts while I listened to music from my iPod, I happened to take notice of a small boy playing with a basketball beneath me. 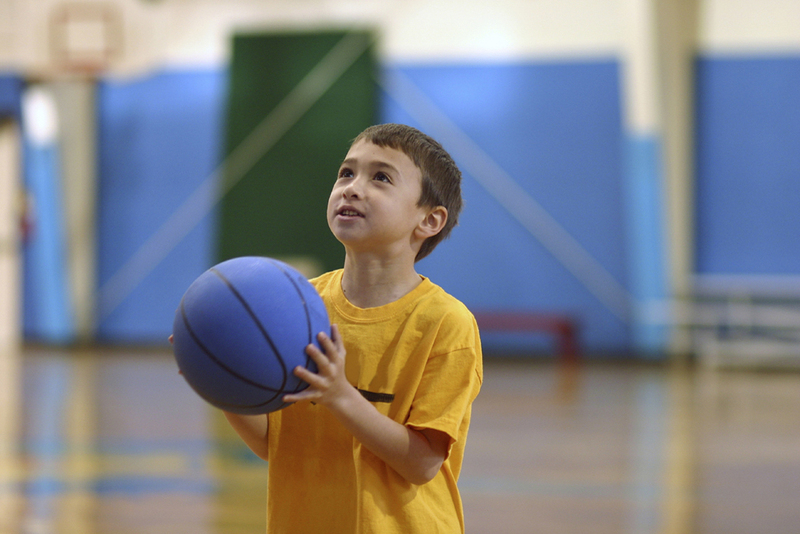 The little guy was maybe seven or eight years old and was so small that the basketball looked like a giant orange boulder in his hands. From the awkwardness in his movements and the way he handled himself, it was easy to see that this wasn’t a boy who was destined to be a star athlete. He was constantly pausing to tug up his baggy shorts that looked more like sailor pants on his stubby legs, his t-shirt must have been an older brother hand-me-down because it was three sizes too large for him -- and there were tiny LED lights flashing from the soles of his sneakers as he moved around the court. I watched as he valiantly struggled to lift the ball above his head and thrust it in the direction of the goal. Each shot ascending three or four feet into the air and then falling back to the court, well short of the goal, sometimes just missing his head on the return. The ball would bounce away quickly...almost as if it was desperately seeking escape from the futility, but the small boy was relentless. He pursued the ball everywhere until it was captured and returned to the same spot underneath the goal where he would wrestle it into shooting position and launch it on its way once more. Each time the ball would fall back to the ground, still well short of the intended target. After a half dozen of these attempts I really started to take an interest in this kid. His determination was so amazing, surely there had to be a reason for his efforts. Scanning the rest of the area below I could see a group of teenagers shooting at the other end of the court, but nobody seemed to be paying particular attention to this little boy – and he certainly wasn’t paying notice to them. No -- he wasn’t trying to impress a coach, or curry the prideful support of a loving parent or sibling; he was just trying to play a sport he obviously loved. His motivations were so simple…so pure. If Kobe, or Lebron, or even the boy next door could do it . . . then why couldn't he. When I counted a dozen unsuccessful attempts by the boy my walk had almost slowed to a standstill. If there was only a way to extract and bottle whatever it was that drove that little man, I’d be a Bazillionaire! Failure had no effect on him, and more than that, I doubt he even thought in those terms. There was no concept of limitations…nobody around to tell him what was achievable -- and what wasn’t ….and his amount of effort wasn’t contingent on results. Over and over he threw up his ball, ever confident in his mind that each toss was getting that much closer to his goal. Another person might have looked upon his hard work and scoffed at the pointlessness. That person would be missing the point. After a short while the number of teenagers at the other end had grown to the point where they decided to expand their game to full-court. The little boy conceded his spot without a word of protest, walking over to stand against the wall with his arms wrapped around the ball, watching the interlopers as they chose-up teams. I finally headed off to the showers, but it was a long while before I was able to get the little guy out of my mind. I told myself that if I were one of those teenagers about to play, one lucky enough to be named captain of a team and given the responsibility of choosing my teammates, I knew exactly the type of player I wanted. While the other captain would be looking for height, quick feet and soft hands…I would be looking for something that originated in a different part of the body. The heart. My first choice might not be the smartest...or most popular...and lifted straight out of a Hollywood movie…but it would be the right one. Oh my God, DL. You should publish this as an essay somewhere, everywhere, where people can read it. It's brilliant, and brilliantly written, by the way. I agree with Karen. What a great insight. We all need more heart in all that we are trying to do. Think of how much we could accomplish if we didn't give up, and if we did things out of love. Thanks for sharing this again. Talent alone won't do it. We need determination and hard work. Even the least talented can make it. Look at Rudy the college football player. We should all be like him - obvious to all else and focused. Think of what we'd accomplish if we were that naive but determined? I love watching children when they're learning something new. They don't care if they fail, and they might even expect it - whereas many adults won't even try if they think there's a chance of failure. There's a lesson to be learned. One day, his body will catch up with his spirit. What a lovely story, thank you for sharing it with us. I think this little guy will go far on his determination. This was brilliant to read and I must say I enjoyed every word. You should think about submitting this to one of those Chicken Soup for the Soul books. It was wonderful! What a powerful post! I loved every word of it. Sometimes people at my day job - and in my circle of family and friends - laugh at me for pursuing this writing gig that has not "paid off" in their eyes. When they ask why I keep at it I sometimes answer "why does anyone keep at anything?" That little boy says it all. Everyone, writers and non-writers - are passionate about something, just cuz it makes them happy to have something to do. Payoff is about as interpretive as the regulations I follow in my day job. It ain't always about making the big bucks or winning the accolades. I love this post. I am sure that brave little guy will go far with that kind of attitude. And he's so not self-conscious! He just kept going despite the fact that other people were around, watching him try again and again. That's my kryptonite... I like to try, but I'm often hung up on what others think. I need to take a lesson from that guy! Love this! I hope that little guy never loses that determination - whatever he does, he's going to be great! Awww. I loved this post! Wow! Thank you. I did get a lot out of it.